This course examines the causes of arrears It outlines an interventionist approach and strategy designed to prevent arrears. This includes advocating on behalf of tenants, dealing effectively with arrears repayment arrangements and monitoring of these to minimise the need for legal action. We recognise that effective income management is integral to everything we do as a business. We equip everyone involved in income management with the right skills, capacity and resources. We provide an accessible and accountable income management service. We deliver a fair and consistent approach to income management that reflects a commitment to creating sustainable tenancies. We ensure that a value for money approach is embedded. We continually strive to understand and improve our performance. How can staff on the frontline work proactively with their tenants to prevent them falling into arrears? How can they identify households at risk? How can landlords take control to manage the challenge of rent arrears before it threatens the viability of their business? The course helps participants to understand the importance of a rent arrears strategy and the management of supportive services. It will help in the development of an understanding of how to work proactively as a landlord to prevent and minimise arrears. It also examines the legal framework for arrears management. Strategic Approaches (including strategy, policy, profiling tenants in arrears, and equality and diversity issues). The Organisation of Rent Arrears Management (including organizational structures, staff training, and rent accounting systems). Preventative Measures (including rent payment methods, how to promote a rent payment culture, publicity methods, rent incentive schemes, new tenants, and introductory or starter tenancies}. Maximising Tenants' Income (including housing benefit, universal credit, debt counselling and advice). Managing Rent Arrears (including communication with tenants in arrears, personal contact, arrears letters, other forms of communication and repayment arrangements). Legal and Court Processes (including notice seeking possession, prior to court action, court action, post court procedures and former tenants’ arrears). Assessing Cost-effectiveness (including assessing costs and outcomes, cost breakdowns and costs of alternatives). Understand good practice in effective arrears management, including the importance of early intervention, monitoring and preventative approaches. Understand how different teams within the organisation need to work together to ensure effective rent arrears management. Understand the legal framework for arrears management. Senior staff in local authorities, registered social landlords, ALMOs and TMOs; managers, finance staff and others involved in policy or business reviews. Elected members and Board or committee members who wish to inform their strategic approach. Housing officers and housing assistants who work with rents and rent arrears. 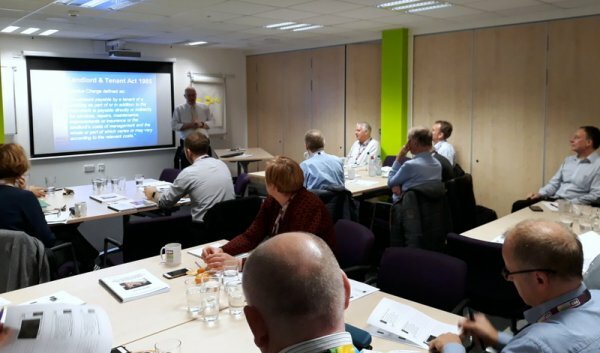 The course should also be of interest to those staff employed by councils or housing associations and the voluntary sector who are charged with providing benefits and money advice.